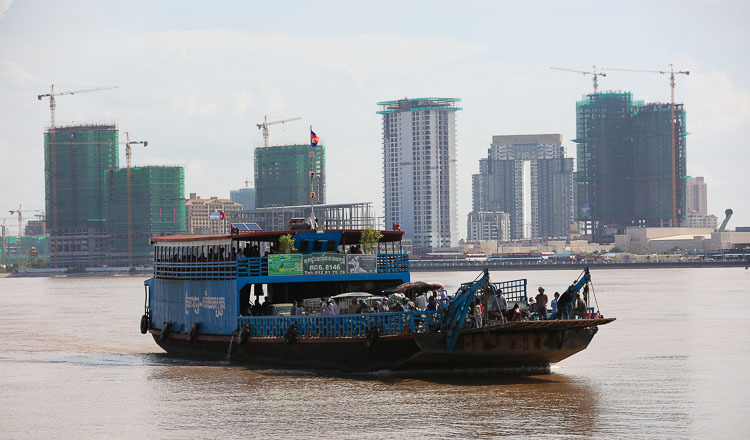 Construction of a new bridge over the Tonle Sap river will begin on Monday under a $35 million Overseas Cambodia Investment Corporation project. 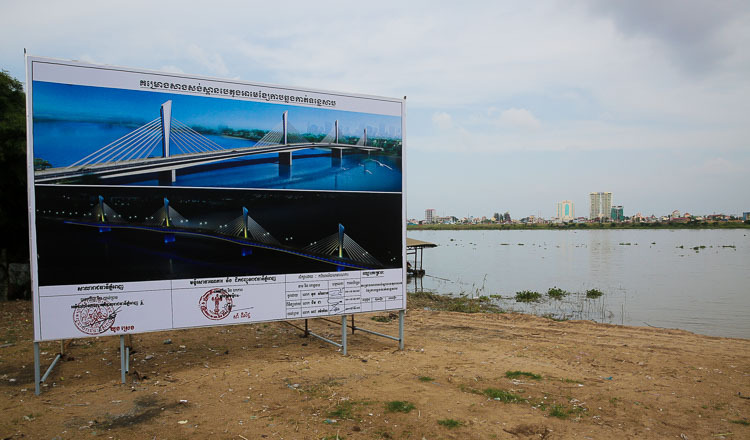 The bridge will connect Phnom Penh’s Chroy Changva and Russey Keo districts. 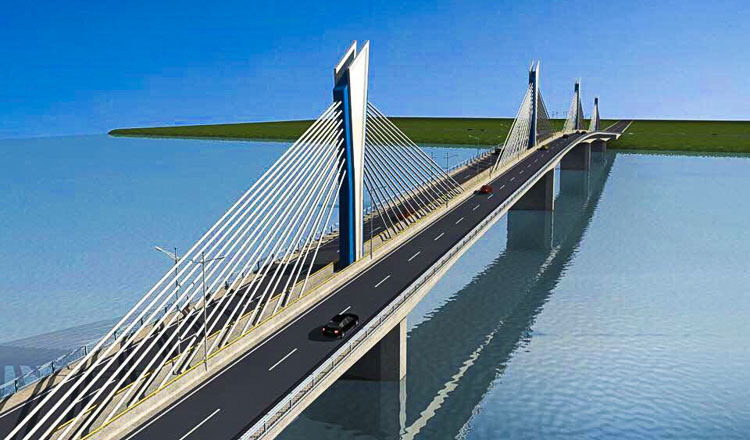 City Hall yesterday hosted a meeting to prepare for the official groundbreaking ceremony next week, which will be presided over by Prime Minister Hun Sen.
Officials said the bridge would reduce traffic congestion from National Road 6A in Chroy Changva district to National Road 5 in Russey Keo district. 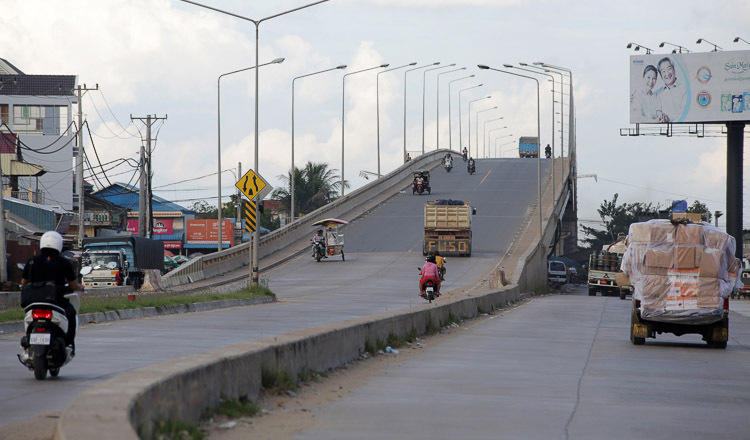 Russey Keo district authorities yesterday met residents who could be affected by the construction, including vendors with stalls by the Sokimex petrol station, close to the proposed site of the bridge. 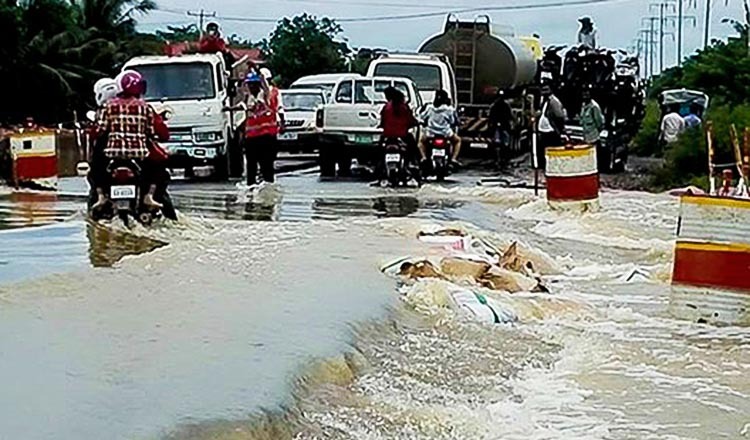 Deputy district governor Prach Siha said vendors were blocking pavements near to where the bridge would be built. “The residents who set up stalls on the pavement must find somewhere else to sell to maintain public order and avoid traffic jams,” he said. 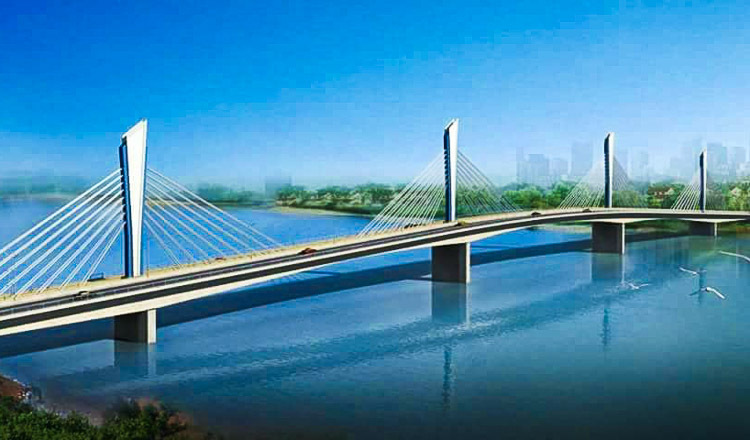 Touch Samnang, the deputy director of OCIC, said the new bridge would be 20.5 metres wide and 500 metres long. “It will take about 28 months to complete,” he said.